Italy has long been ranked as one of the top vacation destinations across the globe. However, Italy is not just for vacationers, it has been the place for prestigious poker tournaments. European Poker Tour or EPT San Remo will kick off this coming April 28th to May 3rd at Casino San Remo in San Remo, Italy. What made this poker tournament remarkable? EPT itself is a prestigious poker tournament throughout the European continent and played in Europe’s lavish and gorgeous casinos. EPT San Remo, for instance, is to be held in one of Italy’s beautiful and famous casinos, the Casino San Remo, located in the northwest coast of Liguria, Italy. The San Remo town has been an all-time favorite getaway due to its mild weather and abundance of flowers. The place is appropriately known as the City of Flowers, and has become a home of world-class flower market. Some of the great attractions of San Remo are horse- back riding and fantastic tennis clubs; historic Porto Vecchio harbor and the beautiful 18-hole golf course. EPT San Remo Season 6 was an all-out success with 1,240 participants creating a record breaking €6 million plus prize pool. British professional poker Liv Boeree outsized everyone and took home the €1.2 million cash prize and became the third woman to win a title in EPT history succeeding Sandra Naujoks in Season 5 and Vicky Coren in Season 3. Of course, the main reason why poker players are drawn to participate in a prestigious poker event like EPT is the cash prize. EPT, dubbed as the richest live poker tour throughout the world, promises a full schedule filled with lots and lots of money. Thus, it is understandable why everyone wants to join and win the tour, from the biggest names in professional poker gaming to thousands of qualifiers. Indeed EPT San Remo is expected to bring great fortunes to the deserving winners. Aside from the cash prize, the overall champion of EPT San Remo Season 7 will receive a custom-made Shamballa Jewels bracelet which is the official bracelet sponsor of EPT season 7. The buy-in for the tournament is €5,000 plus €300 and players will be starting with 30,000 chips. 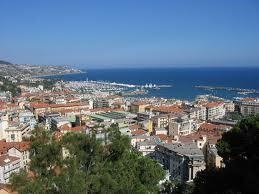 This year’s EPT San Remo Season 7 will be another record breaking event in the world of poker.